Swagtron T5 vs T580 Comparison - Which One Is Better Value? 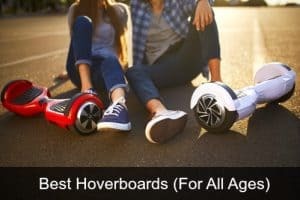 Swagtron has consistently been one of the most popular brands of hoverboard since they hit the market, with their T series of hoverboards including the T1, T3, T5 and T6 all released in 2016. It was one of the first brands to become UL certified and Swagtron is renowned for producing safe, durable and high quality boards. One of their newest hoverboards before now, the Swagtron T5 (a budget “entry level” hoverboard), was introduced to the market in time for the holiday season in late 2016. One year on they unveiled their latest hoverboard, the Swagtron T580 in time for Black Friday/Christmas 2017. But how does it compare to the hoverboards that went before it, and are they still good hoverboards for 2018? In this article we’re going to take a closer look at the Swagtron T5 vs T580 to see what’s different. 4 Final Verdict – Which Is Better? There actually aren’t that many similarities – the T580 is a serious upgrade with some big new inclusions. Weight: Both are lightweight and easy to carry, but the T580 weighs 2lbs more than the T5 which weighs 18lbs. Max capacity: The T5 carries a max weight of 187 lbs whereas the T580 can carry up to 220lbs. Speed and range: The T5 can reach a max speed of 7mph and can travel for 7 miles on a single charge. The T580 can reach a max speed of 7.5mph with a range of up to 8 miles. Not really a huge difference there. Riding modes: Both have a learning mode and a standard mode, but the T580 has also introduced an advanced rider mode. Colors: The T5 is available in black and white. The T580 is just black, but has 3 different variations – all black, black with blue, and black with red. Bluetooth: The T580 is Bluetooth pairable – that means you can play music over the board’s speakers using the Swagtron app. The T5 is not a Bluetooth hoverboard and cannot be used with the app. Swagtron iOS and Android app: The T580 has an app which you can use to toggle between modes, access a map function, plan routes, check your battery etc. The T1 is NOT a Bluetooth hoverboard so therefore it doesn’t have Bluetooth speakers or access to the Swagtron app. Specs such as speed, range, size and weight are all relatively similar. The Swagtron T3 was their Bluetooth hoverboard of 2016, and many of the specs and features are similar to the T580 (the T3 does have a slightly higher speed and range, but not by much). However the design is different and it actually costs more even now. My personal opinion is that many people will prefer the T580’s more modern looking design. Because they both have Bluetooth speakers, the Swagtron app etc. the price will probably be the deciding factor though, and the T580 will win here. 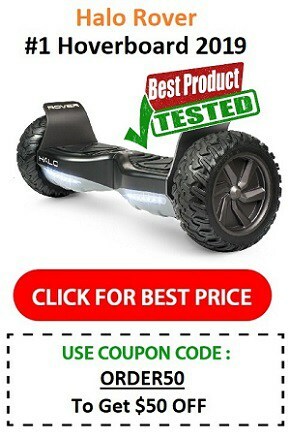 The Swagtron T6 is an off road hoverboard so they can’t really be compared in terms of functionality. The T6 also comes with Bluetooth and the Swagtron app BUT can travel over a variety of terrains that the other hoverboards can NOT – grass, sand, gravel etc. are no obstacle to an off road hoverboard, and it is also significantly bigger with 10” wheels instead of the usual 6.5”. It can also carry a much higher rider weight of up to 380lbs whereas the others carry a max of 220lbs. 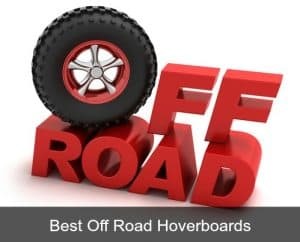 As you can imagine, off road hoverboards are also more expensive, although the Swagtron T6 is actually quite reasonably priced compared to many other all terrain hoverboards on the market. Final Verdict – Which Is Better? The Swagtron T580 vs T5 – who’s the winner? First of all, both the Swagtron T5 and the T580 are good, durable, reasonably priced boards. However, the 2017 Swagtron T580 has a few new additions that will probably make this the Swagtron that will be on everyone’s Christmas wish list this year. 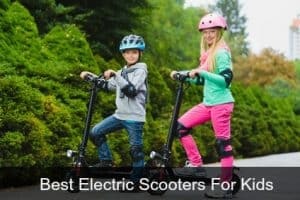 The Swagtron T5 with a max rider weight of just 187lbs and just 2 modes (learning and standard) is most suitable for children and young adults. The T580 carries up to 220lbs and has an extra “advanced” riding mode. The T580 also has a slightly higher max speed and range than the T5. Like the T1 it has 3 different riding modes, and supports riders of up to 220lbs – making it suitable for all the family. The inclusion of Bluetooth speakers and the Swagtron iOS and Android app though means the T580 wins hands down, as neither the T5 or T1 have these. The new design of the 2018 T580 also looks pretty awesome! The price of both is likely to be similar, but the T5 is still a good option if you’re on a budget and you can find it cheaper.